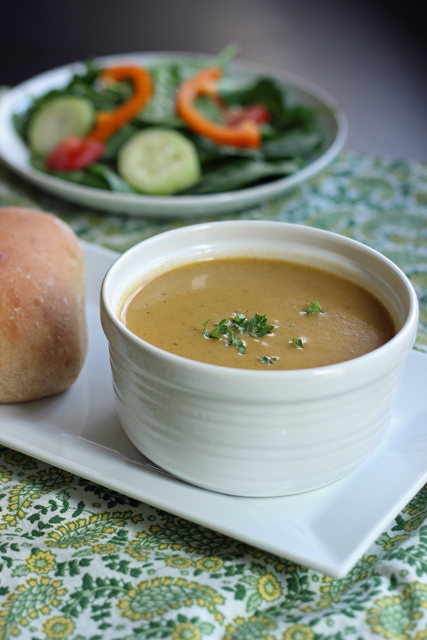 Soup is oftentimes an economical and easy choice for dinner. Try one of these delicious recipes. As a child the only good soup I knew came from a can. Sorry, Mom. My first few attempts at homemade soup were utter failure. I threw a bunch of things in a pot and hoped for the best. Unfortunately, that didn’t happen. It wasn’t until I read A Feast of Soups by Jacqueline Heriteau that I understood the philosophy and kitchen science of soup making. Since the book was written in 1987, many of the ingredients are outdated. We didn’t love the soups I tried. But, I learned a ton about soup making. I learned how to make soup night a success. Soup night is a great way to save money. In cooler seasons, we have soup at least once a week, sometimes more often. It’s a great way to use up all those little bits in the fridge or freezer and it warms the bones. If you throw in some homemade bread, you can make soup night even better. 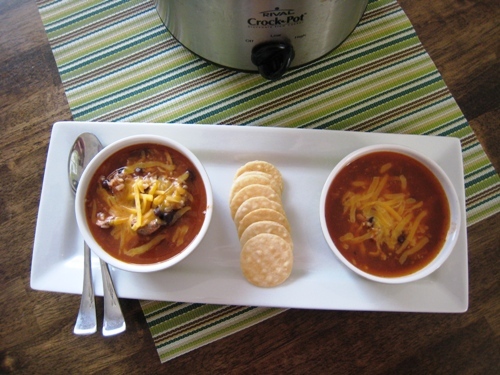 If you stock the freezer with homemade soups, you can put your feet up and enjoy a great meal. I’ve made this vegetable soup multiple times with a variety of vegetables and differing spices. I’ve added cream sometimes, or not. I’ve found that if I use a potato, it adds some creaminess without the extra fat. It’s very forgiving and lets you use up leftover vegetables. This soup was born on a day when I had a huge store of fresh vegetables and herbs from our produce box. I trimmed them and roasted them with olive oil in a hot oven. Then they simmered on the stove for awhile. After blending, I had a soup packed with nutrition and great flavor. 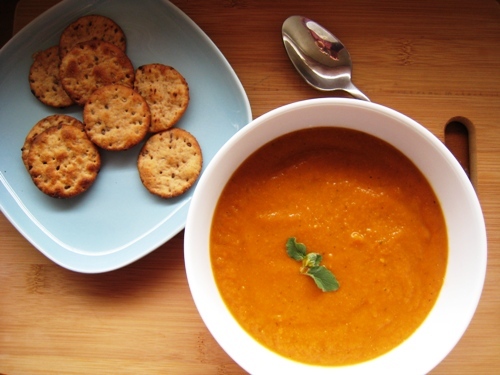 Vegetable-Cheese soups is one of my favorites on the planet. This one cooks up quickly, making for perfect comfort food. 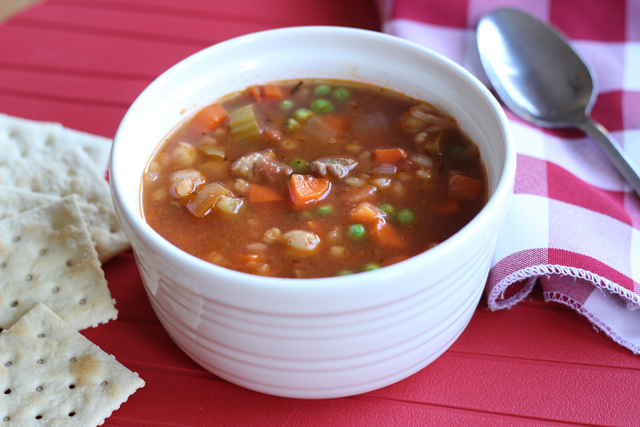 Prepare for fall and a busy school year by mixing up a pot of this delicious homemade soup, chocked full of vegetables, beef, and barley. It’ll do your body good. 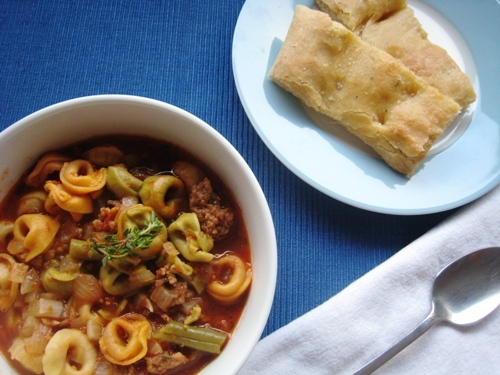 This is a tasty and hearty soup, perfect for the upcoming cold winter nights. My family gobbles it down, even when it’s stuffed full of veg. This simple soup recipe was a brainstorm to use up some leftover rice and beans that we had had for dinner the night before. Remaking leftovers is a great way to reduce waste and make the most of what you have. Most of these ingredients are pantry staples, making it an easy emergency supper as well. 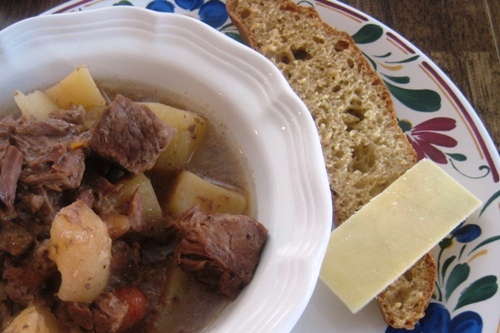 This is my go-to recipe for St Patrick’s Day. It’s a huge hit with my people. Grab roasts on sale and freeze them for later. This Chili Bean soup is a major win. It uses regular pantry staples and can be frozen for another time. 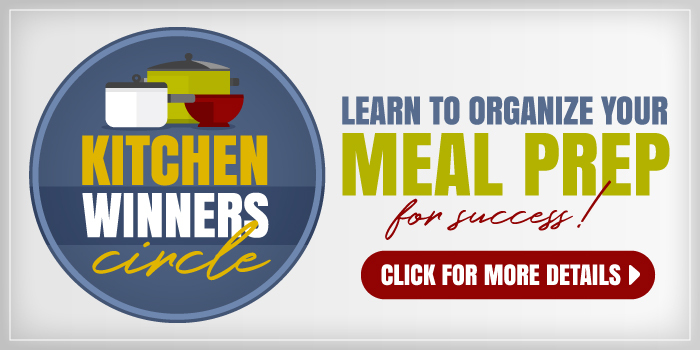 Make a double batch and freeze half so you have easy lunches and dinners in the busy weeks ahead. 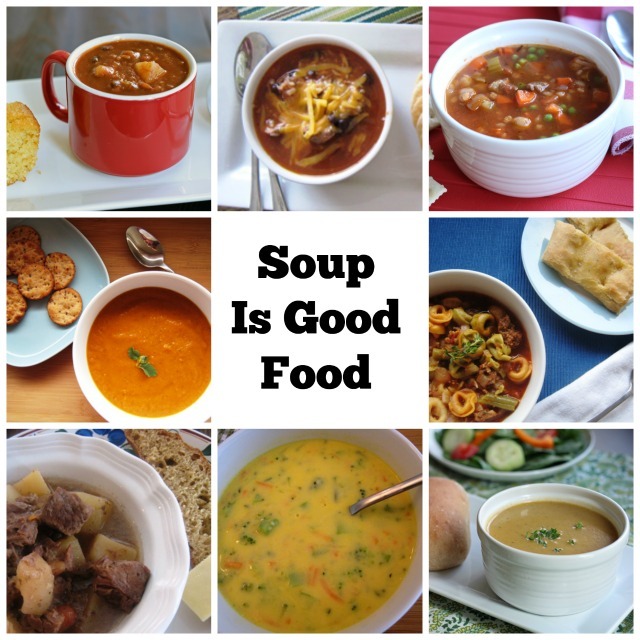 What’s YOUR favorite soup for this season? Most soups, I serve warm home baked bread with; others I serve a pepperoni and provolone Stromboli with; others I serve mini grilled gouda and tomato sammies (I make these on tiny, thin square cocktail bread; either pumpernickel or rye. Vegetable, using assorted bits and dabs of veggies, usually in a chicken broth. Sometimes I had a bit of cream, most times I don’t. Sometimes I use poultry, sometimes I don’t. Each winter, I make an enormous crock pot of bean soup, with or without ham. That gets divided and frozen since there are only two of us and we can only eat it so much. 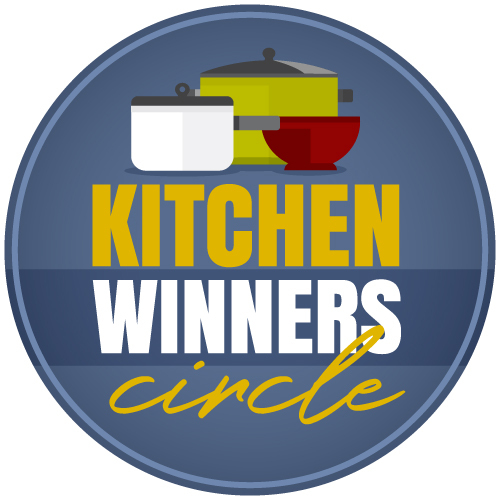 If chili counts as soup, then add a kidney bean chili, white chili, and black bean & veggies chili. I haven’t done it lately, but an authentic French Onion Soup is mighty tasty, too. You mentioned using a potato in lieu of cream for lower fat. I recently learned from a recipe that beans in the food processor can do the same thing (with fewer carbs). This specific soup was pumpkin with cannelini beans, chicken stock, 1 cup of milk and a topping of pesto. A favorite at our house. My family loves soups. The boys will eat vegetables in soup that they would never eat if they just showed up on their plates:) I plan to have soup once or twice a week this fall/winter. 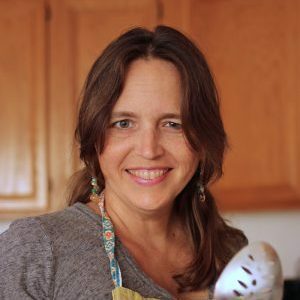 I especially love to use my slow-cooker, I prep the soup while the boys are doing their math (we homeschool) and then dinner is waiting for me at the end of the day. 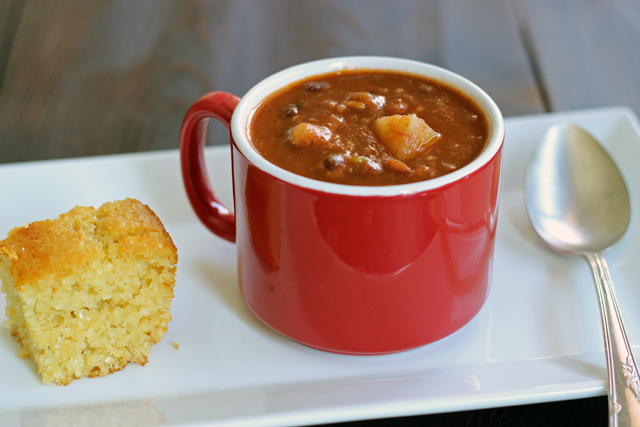 We are having black bean soup and cornbread for dinner tonight! Sounds like you have a great strategy going on. I LOVE most soups so I make soup several times a week when it is cooler. I like to make what I call cabinet or refrigerator soup. I use whatever I have on hand that sounds good together. It usually turns out great as I have a good idea about what ingredients we like together. Fall, or sweatshirt and soup season as we call it at my house, is my favorite season! I do that too. I stash little bits of leftovers in the freezer and then make soup. It’s always an experiment.